To provide for its population, China has a vast and varied school system. There are preschools, kindergartens, schools for the deaf and blind, key schools (si,cultural and vocational schools, regular secondary schools, secondary teachers' schools, secondary technical schools, and secondary professional schools), and various institutions of higher learning (consisting of regular colleges and universities, professional colleges, and short-term vocational universities). In terms of access to education, China's system represented a pyramid; because of the scarcity of resources allotted to higher education. The number of foreigners wanting to study in China has been rising by approximately 20% annually since the reform and opening period began. According to official government figures 195,503 overseas students from 188 countries and regions came to study on the mainland in 2007 although the number is believed to be somewhere around the 300,000 region, because the government’s figures do not include students studying at private language schools. This makes China the world’s sixth-largest study abroad destination. According to reports, the Republic of Korea, Japan, the United States of America, Vietnam and Thailand were the five biggest source countries, and the number of students fromEuropean source countries is increasing. Currently the Chinese government offers over 10,000 scholarships to foreign students, though this is set to rise by approximately 3,000 within the next year. Students who will study in China need to apply for a visa. Foreign students studying in China are required to hold an ordinary passport and either a Study visa (X-visa) (study period of more than 6 months) or a Business visa (F-visa) (study period of 6 months or less). If you enter China on a a Tourist visa (L-visa), you will be required to change your visa into the relevant visa after entering China. Applicants should apply for a Chinese visa from the nearest Chinese Embassies and Chinese Consulates. A valid passport as well as a copy of its information page. Your valid passport must have at least six months of remaining validity and at least one blank visa page in it. Application form: One nearly completed Visa Application Form with genuine information and signature. Photo: one recently-taken color photo of 2x2 square inch glued or stapled on the application form. An original and a photocopy of Letter of Admission, Foreign Student Visa Application Form (JW202) issued by relevant Chinese government unit. Besides the documentations mentioned above, other documents might be required by visa officers in order to decide whether to issue the visa case by case. Business visas (F-visa) are issued to those invited to China to do business or study for a period of less than six months. Tourist visas (L-visa) are issued to those coming to China for sightseeing, visiting family or friends, or for other personal affairs. Therefore, students who will not receive their admission package by post in time to apply for the above visa categories can apply for a tourist visa (L visa) instead. University staff will help you do a visa conversion at the local public security bureau when you arrive at school. NB This option is only available to students from North America, South America, Europe, East Asia and South East Asia. Q1: What’re the application requirements for studying English-taught MBBS in China? Respective universities may have varying enrollment requirements, usually including educational background, English language proficiency and high school or other college grades, esp. scores in science subjects. Also, some materials are needed such as the photocopy of the applicant’s passport, Health Certificate, etc. In addition, international students are required to pass the HSK test (Chinese language proficiency) before graduation. For more details, please check the information on accredited schools for MBBS. Non-degree programs on Medicine for months or one to two year, e.g. Clinical Studies of Traditional Chinese Medicine (TCM), Acupuncture and Moxibustion, which is offered by Liaoning University of TCM, Hunan University of TCM, Shandong University of TCM, Shanghai University of TCM, etc. Other English taught medical degree courses such as, Traditional Chinese Medicine, Pharmacy, Stomatology, Nursing, Preventive Medicine, and other medical related technology and etc. Dalian Medical University& Fujian Medical University provides the English-medium undergraduate program of Stomatology; Central South University provides both bachelor’s and master’s programs in nursing in English; Jiamusi Medical University offers BEMT Program(Bachelor of Engineering in Medical Technology in English). Courses regarding Chinese culture and art, such as courses on calligraphy, brush painting, Martial arts, Taiji boxing offered by Capital institute of physical education etc., which can enrich your extracurricular life. Q3: Can I do the internship outside of China? In this case, do I need to pay fees to the university in China? Normally, medical universities in China require one- year internship in one of the university’s affiliated hospitals. Nevertheless, several of them also allow students to intern outside of China. In the circumstances, overseas students have to submit documents about the hospital beforehand for qualification evaluation by the university. Then, the Chinese teacher will keep in contact with the students through weekly or biweekly e-mail or telephone to offer instruction or suggestion. Therefore, overseas students must pay administration fees to keep your name on the school roll and to gain Chinese teacher’s supervision. In addition, even if foreign students do the internship outside of China, you have to meet requirements of internship according to assessment manual published by respective universities. 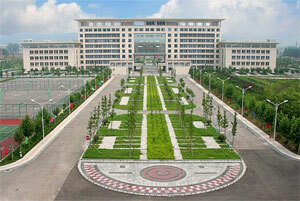 Q4: Is there a spring admission to MBBS in China’s medical universitie? Yes. Most medical universities in China only offer admission to MBBS in fall. Nevertheless, there’re a few medical universities such as Shandong University, Dalian Medical University, Hebei Medical University, and Central South University, offering a spring intake and these MBBS programs start during March to April. Q5: Is Chinese language courses and HSK test compulsory for English- medium MBBS program? The Chinese language course is compulsory for English- medium MBBS program in China’s medical universities, while not all the universities require passing the HSK test at a certain level before graduation. However, if overseas students want to work or intern in a hospital in China, the ability to communicate properly in Chinese is essential. Besides, as one of the official languages in the U.N. with the most speakers, mastering Chinese will offer foreign students convenience in daily life and more work opportunities throughout the world. Q6: What’re the future job prospects in China or in my home country after my graduation? What’re the future job prospects in China or in my home country after my graduation? The medical degree conferred by Chinese medical universities is valid across China and even throughout the world. All China’s medical universities which are on the list of the Regular Institutions of Higher Education in China published by the Ministry of Education of P.R.C. (MOE) are recognized by the World Health Organization (WHO) in the “Directory of World Medical Schools”, which makes graduates from those schools qualified to attend board examinations in most countries such as the USMLE in the US, the PLAB in the UK, the MCI Screening test in Indian, PMDC in Pakistan, Mauritius, South Africa, etc. China’s booming economy, increasingly opened society, and massive potential medical market will provide foreign students with more and more work opportunities in China. If you want to be a doctor in Chinese hospital, you have to at first pass the medical license examination in China and have the ability to communicate properly in Chinese. Besides, there are great opportunities to work in the branches or medical research centers founded by multinational corporations, such as Johnson & Johnson, Charles Pfizer, GSK, Novartis, Roche Group, Wyeth, The Merck Group, Bristol-Myers Squibb, etc. Q7: What is the duration of the medical courses in China’s medical schools? The medical courses last for about 5 or 6 years according to requirements of respective universities. The 5.5- year medical course include basically 1 Year of pre-medical courses with subjects such as Biology, chemistry, Physics, Calculus, Chinese, etc. and 1.5- year internship which overseas students can choose to do it either in China or in any other countries. Q8: Are there entrance exams for MBBS study in China? No need to take an entrance exam when studying medical in China. Q9: Why it is easier to get into a medical school in China? There are more than 200 medical schools in China, which means more slots are available than in most other countries. Also, most of the medical universities in China who offer medical courses would like to recruit international students because they want to boost their university standards by bringing in students from different countries. Q10: What do I need to do to practice my medical degree in South Africa? After having finished your medical degree in China, you need to go back to South Africa and apply for the Health Professionals' Council of South Africa (HPCSA). Q11: What are the exact minimum requirements for international students to get into China’s medical school? SICAS could most probably get you into the top medical schools in China if you get B’s for Science and Biology. We can also get you into a top school if you have C's. Still we can find a way to get you into a lower- ranked medical school but still internationally recognized if you do have D's, and that's ok too because SICAS will always find ways to help you. Since there are more than 200 medical schools, you can just imagine how highly the top medical schools are ranked in China and don't forget how competitive Chinese students are! If a school ranks number 6 in China, local Chinese students need at least 77% average to get into any major. You can just imagine how competitive it is to get into medicine at this university. Luckily, for the rest of us including some nationalities can just get into medical schools without hustle. Educloud managed to get some students into one of the top 10 medical schools in China even if s/he had lower grades in Science and Biology in the secondary school. This just proves that educloud do know how the higher education system works and we maintain good relationships with the universities we work with. So it's much easier to get into a first-class medical school by applying through us. Studying abroad in China is relatively inexpensive, much cheaper than studying and living in European countries, the U.S., Japan, South Korea and many other countries. Normally the annual expense is from USD 6,000 to USD 9,000, depending on the university’s location. A larger city will cost you more in tuition and accommodation, while a small town or a city in Western China may cost significantly less. Application fee: USD 90 – 150, normally not in excess of USD 200. Visa fee: This depends on your nationality and your local Chinese embassy or consulate. For instance, the visa fee for a U.S. citizen is USD 140. To confirm, please contact your nearest Chinese embassy or consulate. Travel expenses: Air tickets may be expensive if you are coming from Europe, Africa or America. A one-way trip from the U.S. to China can be USD 600. Flying from within Asia is relatively cheap – students from Korea may fly as cheaply as USD 100. Textbook: USD 100, which will be charged by the university at the beginning of your course. Living cost: about USD 2,000, mainly depending on your lifestyle, though eating out in China is very cheap compared to many other countries.